Publisher Deep Silver has finally lifted the lid on the Nintendo Switch release date for Saints Row: The Third - The Full Package. We're pleased to let you know that you'll be able to get your hands on it from 10th May. The news comes from a tweet shared by the studio today; no other details were given, but we're happy to have a date now confirmed. 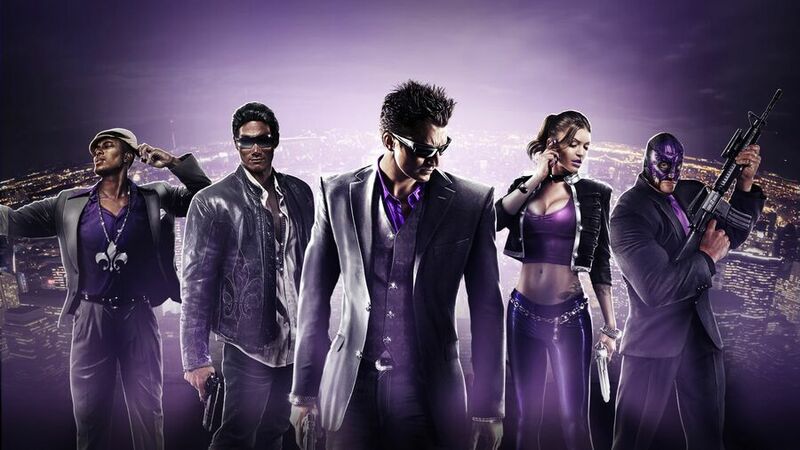 The third instalment of the Saints Row franchise, this game has players leading the Third Street Saints gang in a bid to overtake its rivals in the city. The series is often compared to Grand Theft Auto thanks to its open world setting and the weapons and vehicles used throughout. 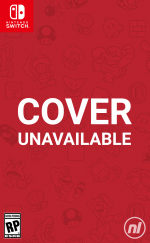 Last year, it was confirmed that the game would include all previously released DLC, explaining the reasoning behind the game's cheeky 'Full Package' title. If you haven't played this one before, check out this trailer from the original 2011 release. Will you be getting this one as soon as it launches this May? Are you excited to play it on Switch? Let us know in the comments below. What I really want to know though is if it's a physical release or not. Otherwise I'll just stick to my digital copy on pc. I skipped this on PS360, so I'll get it on Switch. SR games are a blast, and having this portable will be awesome. Haven't played this one in a good while. I liked it more than SR4. I'll be happy to buy it again for Switch. I'll buy it just so that maybe we'll get the fourth game for Switch too. @Joker13z I'd be surprised if they skipped physical. I think they haven't said anything about the physical release, because it's pretty much the norm to have games released physically, unless it's some indie title. Which Saints Row 3 is not. I loved the first 3 games. This is a must buy for me. I wasnt a fan of the fourth game though so hopefully we get another game like this! @Beolleika That's awesome if true. I'd happily preorder a physical copy of this. I'd buy it day 1 if it has a physical release. The only release announcement I care about right now is a Persona 5 one for Switch, Yes, I have it for PS4 but by god I would buy it again. I'll keep my eye on this one. I haven't played Saints Row III yet in my life, so buying it on Switch is news to me. It looks as if the Resi Evil ports are going to be mostly digital(0&1 physical but us only it appears) so it wouldn’t be a surprise to see this do the same. Although I’d love a physical release for all of them. Yup, I'm definitely picking this up. I had a blast with it on 360, but never played any DLC. I actually wanted to move along the story and stick with the game, as opposed to my experiences with GTA. The humor and character interactions kept me chuckling. Very interested, but again, for me, as with most Switch releases, it will depend on price. I've played this all way through the end. i'll just say this. it's quite worth playing, if your into these kinds of games. If it includes ALL the DLC as promised, not just the season pass content, I'll definitely buy. I'm confident they will since Saints Row IV on the PS4 contains the many clothing options offered as DLC as well as the season pass content. @PiXeLSteF That's great! Any NA ones? I haven't seen any listed yet in the places I usually look but I'll keep searching if so. Cannot wait to get this as a portable. “Insurance claim” mini game here I come!! Mmmmh, not really sure if I should buy or not, as I loved IV but that’s the only one I’ve played. Still, people say 3 is better, so I should like it even without superpowers. Dang... That game is old... I didn’t realize how old it was until I watched the trailer. I will not be buying this. I don’t mind ports of games that are a few years old but 8 years is ridiculous. welp as this and sleeping dogs are the only gta games I like...day one. I do not have this game on ps3 or 360 so I'll pick up the Switch version if it has a physical release and I'll wait until it's $20. So how overpriced will this be? I honestly forgot this was happening. It got announced, then no one talked about it for a while. I'm still baffled by the decision to release the third one on Switch, I liked it but why? If physical count me in on getting it. I got a kick out of SR4 and liked the superpowers aspect, and heard 3 was way better. So maybe I'll jump in? @SamuraiPanda Persona 5 is coming rest assured. Now, it would be nice if they confirmed if its s Physical release AND what, if anything, new has been added or enhanced for the game. The question is whether the full game will be on cartridge. If so, it's a day one buy. If not, I'll only consider it when it's bargain bin fodder (and that something better hasn't come along to steal its thunder). @Bizzyb I hope its a physical release and a collectors edition as I missed the one on PS4, i want that sweet loot. Was playing Crackdown 3 last week thinking can't wait till SR3 comes out on Switch for some proper fun.